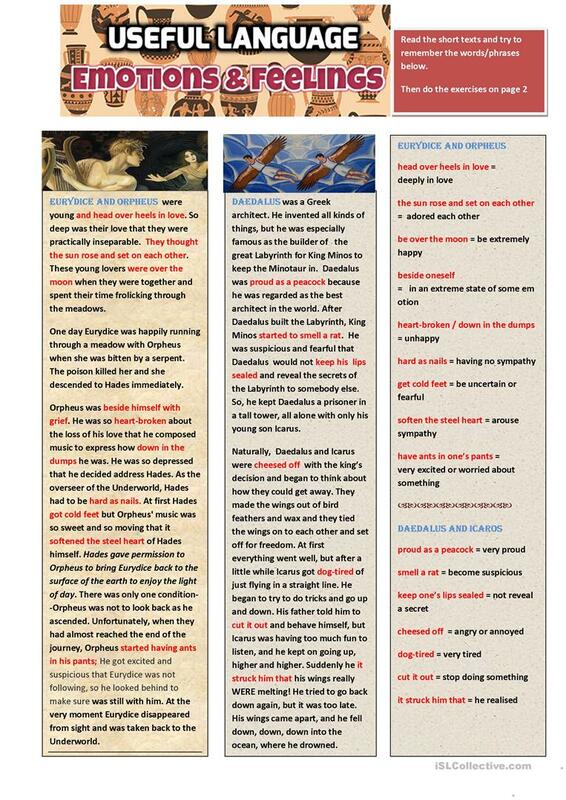 This worksheet has 2 Greek myths which I "adapted" to include some phrases about feelings and emotions. SS read the texts and pay attention to the phrases in the red. The definition of the phrases is given on the same page. 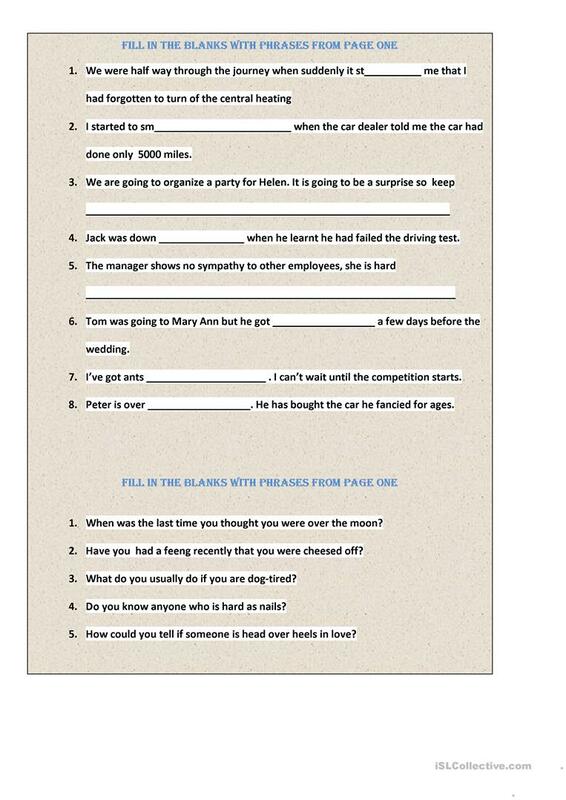 Page 2 has exercises on the topic. The present downloadable handout is recommended for high school students and elementary school students at Pre-intermediate (A2), Intermediate (B1) and Upper-intermediate (B2) level. It was designed for enhancing your pupils' Reading skills. It centers around the vocabulary topic of Feelings, emotions.